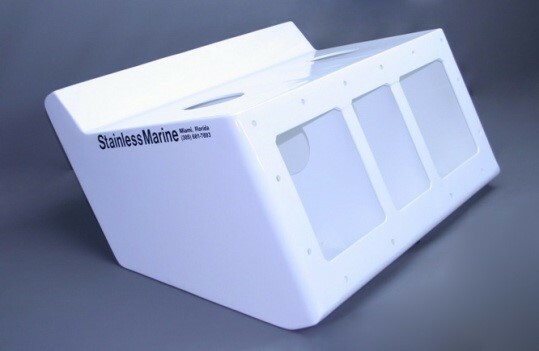 Standard in-stock transom angle is 12 ̊. Each bracket comes complete with mounting hardware, drill template and instructions necessary for a trouble free installation. The limited warranty is 10 years structural and 3 years powder coat. 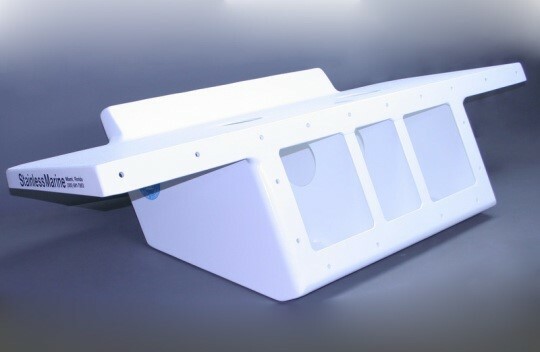 Any other transom angles and curved transom fits are available for special ordering. 14-(½”) Lock Nuts, 14-(½”) Nylon Washers, 28-(1/2”) S/S Flat Washers. Note: Engine mounting bolt pattern on all brackets are same as universal outboard on engine side.